You are here: Home / Great Deals / FREE Customized Greeting Card! 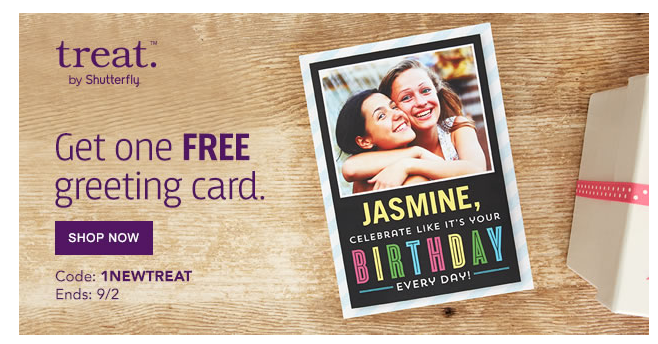 Get A FREE Customized Greeting Card! Woo Hoo! I love it when we can snag FREE cards! In fact, right now, you can create a FREE Customized Greeting Card! You could make one for an upcoming birthday, Halloween, or even Grandparents Day, which is September 7! Use coupon code 1NEWTREAT at checkout before this deal expires on 9/2 at 11:59pm EST!